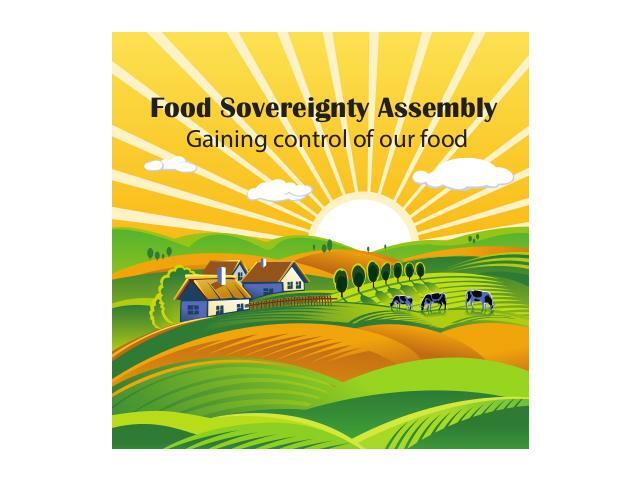 The 2nd Food Sovereignty Assembly used a participative methodology to develop the document together as a joint effort. "Our food system is failing, both in Ireland and internationally. Failing to provide a secure income for farmers, failing to provide healthy food for citizens, and failing to nurture and care for our environment and the heritage of future generations. The globalisation of agricultural markets long promised to bring prosperity and stability to farmers and consumers. Instead we have seen the eradication of our own local and traditional high quality food production and an abundance of low quality, mass produced food. Farmers cannot guarantee prices which cover the costs of their production and are increasingly trapped in a vicious circle of falling prices and rising input costs. Furthermore, processors and retailers undermine and fail to reward the work that farmers do by selling adulterated and heavily processed food to citizens. At the same time, organisations, individuals and collectives are developing new ways of organising the production, distribution and consumption of food in their localities. They propose an alternative political framework for food and agriculture in our society, based on the principles of Food Sovereignty. Food Sovereignty means the people of Ireland reclaiming the right to how our food system is organised. It means dignity for farmers in their work, and healthy food for Irish citizens. It means ensuring high quality food for our local markets instead of high quantities for global markets. It means working with nature and developing production systems which do not rely on external inputs. It means citizens and farmers coming together to take a stand and build a better way of producing, distributing and consuming food in Ireland and around the world. This conference in Castlebar is a first step in starting this discussion, and towards building a better food and agricultural system both in Ireland and worldwide." Over 400 delegates from 34 Countries met in Krems, Austria, including 7 Irish delegates, to shape a new sustainable and just food system for Europe and the world. They participated in the first European Forum for Food Sovereignty named after the legendary Malian woman “Nyéléni”, whose spirit inspired the international food sovereignty forum held in Mali in 2007. The 7 Irish delegates represented a wide variety of groups: LASC (Latin American Solicarity Centre), Gluaiseacht for Global Justice, Leitrim Organic Farmers, Dublin Community Growers and Food Action Dublin. These different groups and organisations are working on food sovereignty issues in Ireland directly and indirectly. The Forum opened on Tuesday 16th August with Ibrahim Coulibaly, Malian farmer leader and organiser of the 2007 Nyéléni forum handing over the symbols of Nyéléni’s fertility and productivity – soil, seeds and water – to a European farmer leader Geneviéve Savigny. From August 16-21st, the forum provided a democratic and participatory space for debating, sharing experiences, building alliances and making collective proposals about what needs to be done to protect and promote healthy local food systems in Europe and other regions and how to reduce the damaging industrial food system. “I am more convinced than ever that Ireland urgently needs to review its food system to become more sustainable and socially just, not only for farmers in the global south, but for Irish farmers at home to get a fairer deal in the long run. Building food sovereignty awareness in Ireland will be a priority for us in the coming years. “ said John Brennan , an organic farmer delegate from Leitrim. The forum was held in the midst of multiple social and financial crises, caused by an elite-driven, but much resisted, social and economic agenda, that is harming people and destabilising the region. Yet, more than 400 European delegates from 120 organisations participated. Participants came from 34 countries across Europe – from Albania to the UK, from Azerbaijan to Norway, from Portugal to Russia. They were assisted by 80 Austrian volunteers and 55 volunteer professional interpreters from COATI. International observers from India, Mozambique, Guatemala, Mexico, Canada and the United States were also present to offer experience and political views and to get inspiration for their own struggles. “I have been truely inspired by the incredible people participating in this forum. I have learnt so much about the issues that surround food sovereignty such as agricultural worker’s issues and women’s issues. We shared many positive practices and solutions. Young people in Ireland need to become aware how important food sovereignty is not only for the survival of people in the global south but our own survival at home in the near future.” said Donna Bloss from Gluiseacht. The Forum used a rigorous methodology that allowed a high level of participation by all the delegates, especially women and youth, in developing consensus policy documents. These addressed key themes including: Models of food production; Market/food chains; Social aspects and conditions of work; Access to land and other resources; and Public policies. The discussions were organised by theme, European sub-region and sector (food providers, consumers, environmental and development NGOs, workers). They provided a rich diversity of views that enhanced the Forum’s outputs: a declaration and a plan of action. Food and agriculture are the cornerstones of society and the Forum comes at a timely moment for offering radically alternative and concrete solutions from the people themselves.